Before planning to spend warm days outdoors, it is important for homeowners to prepare their fireplaces for the season change. The Energy House can recommend the proper fireplace maintenance to welcome the Spring Season, which will save you time and money, as well as help keep your family safe. 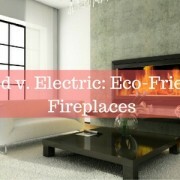 The type of fireplace you own, either wood burning or gas, will determine what needs to be done to prepare for Spring. Clean Up Ash- It is very important to clean out any ash and soot left inside the fireplace because it keeps the air quality fresh, and it restores the beauty of your hearth. After cleaning out the ash, close the damper. Doing this reduces air from entering your home and prevents any remnant ash and soot in the fireplace from blowing in during a breeze. Close the Damper- Typically, the fireplace is not in use during warmer months and there is no need for the damper to remain open. Closing the damper will help prevent drafts, water leakage during rainy days, and will keep out animals, such as birds, squirrels and raccoons. This also helps save on energy costs, by preventing any air-conditioned air from leaking out of the house during the summer months. Schedule a Chimney Cleaning and/or Fireplace Inspection – Many homeowners are unaware that the best time to schedule a chimney cleaning is in Spring. It is typically more convenient because there are less appointments for the professionals during this season. Having your chimney cleaned reduces the amount of soot and creosote buildup in the flue. When one of our professionals visits your home for an inspection, he will check the chimney and flue for cracks or leaks, as well as check that the damper and chimney cap are working properly. Clean the Glass Panel- If you own a direct vent fireplace with a glass panel, you should regularly clean the glass. First, remove the glass, then use the manufacturer’s suggested cleaner. For gas fireplace owners with glass doors, the same is recommended; use a soft cloth and the cleaner suggested by the manufacturer. Do not use any cleaning products that contain ammonia! Brush off Soot – For any soot that has remained on your logs or the inside of your fireplace, you can use a dry paint brush to clean it off. Schedule a Gas Fireplace Inspection- One of our professionals will take a look at the burner and other components of the unit. Regular maintenance can increase the lifespan of your gas fireplace and reduce the amount of money spent on repairs. 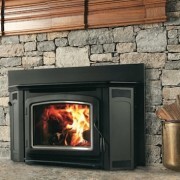 Turn off Pilot Light- For gas fireplaces with a standing pilot, you can turn it off during Spring and Summer. Turning off the pilot can save you money in utilities. If you do not feel comfortable or know how to turn off your pilot light, one of our professionals can do it for you during your appointment. 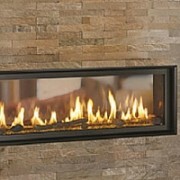 Choose Energy House for all of your fireplace maintenance needs and repairs. Our experts can help keep your fireplace operating effectively throughout the year. Contact us today for more information!